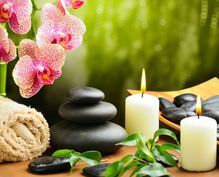 Ayurveda is an ancient authentic medical system which originated in India, more than 5000 years ago. 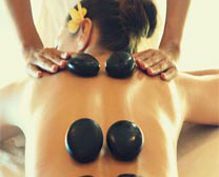 In Sri Lanka, it is practiced in harmony with Sri Lankan Traditional Medicine, which evolved from the prehistoric eras and currently regarded as Sri Lanka Ayurveda, with a distinct identity, different from Indian Ayurveda. The meaning of Ayurveda is derived from the two words (Ayuh) life and (Veda) science or knowledge; hence it is a science of living. Ayurveda treats not the symptoms of a disease but its root causes. It helps people to strengthen the immune system by treating the body, mind, and spirit of a person as a whole entity. It works under the philosophy that mind and body are connected to each other and thus to cure any disease, both these aspects are taken as a whole. It concerns the unique healing practices accepted in Buddhist philosophy as well as in other religions. Sri Lankan Ayurveda offers tailor-made treatment packages (14/21/30…or more days of continuous treatment programs) with yoga, meditation, and other spiritual activities in luxurious Ayurveda resorts and hospitals. High quality and attentive resort/hospital medical services in your room over 24 hours, protects your privacy in a serene environment with convenient and luxurious facilities. Services Offered by Sri Lankan Ayurveda service providers. 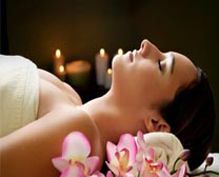 Knowledge, research and new findings of Ayurvedahave been passed down through time and services offered in the field have expanded with the aim of healing and preventing disease and offering rejuvenation through the connection between the body and the mind. Sri Lanka now has a pool of dedicated and experienced talent with expertise in the fields passed down over several generations. The government has also recognized the potential of developing this sector; dedicated government bodies, including the Ministry of Indigenous Medicine, have been appointed to facilitate and monitor continued development. The subject is gaining increasing momentum in higher studies with the inclusion of the subject of Ayurveda in the curricula of several education institutions in the country. In recent years, Sri Lanka has expanded its services in Ayurvedic treatments to offer beauty and de-stress treatments in addition to traditional disease cures. 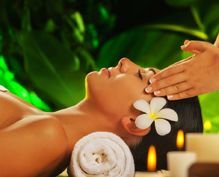 Sri Lanka now offers a refreshing array of spas, resorts, and hospitals that offer extensive services utilizing Ayurvedic natural herbal products. In addition, Sri Lankan hospitals of Western medicine are also providing cost-effective, quality medical services to patients from the developed countries and the regional countries.